Mothers worry when their toddlers fall sick all the time, and sick days interfere with growth. 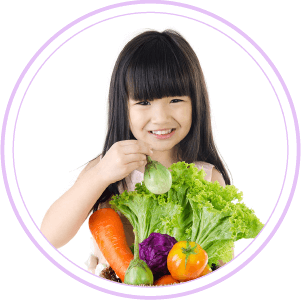 PediaSure® Complete and Balanced Nutrition reduces sick days for more growing days1. Studies show that children who are not getting the right balance of nutrition often have poor immunity, are more vulnerable to infections and germs, leading to him/her falling sick more often2. It is possible for your child to develop stronger immunity and be on track for the right growth and development by practicing the right nutritional intake. Did you know, the levels of nutrition your child gets is one of the main deciding factors for whether he/she falls sick, how frequently, for how long, and if further complications develop from those illnesses? Complete and balanced nutrition just means getting enough good fruits and vegetables, protein-filled meats and fish, eggs, and good carbohydrates daily. Your toddler needs Vitamin C to build his/her immune system; anti-oxidants from berries (blueberries especially) help too. Zinc is necessary to protect against falling ill and to recover sooner and always make sure your child gets enough water. 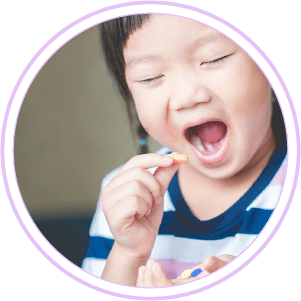 If your child is not getting complete and balanced nutrition, you can choose to supplement with PediaSure® which is formulated to meet dietary requirements of vitamins and minerals. PediaSure is scientifically-proven to reduce sick days by up to 74%1. Toddlers need up to nine to ten hours of sleep each day for their cells to heal and regenerate3. When we sleep, T-cells needed to fight flu viruses and common colds increase production and inflammatory cytokines decrease4. Your toddler will be better equipped to keep the common cold at bay if he/she sleeps. It will also aid in a speedier recovery once he/she falls sick5. To make sure your child sleeps enough, set regular bedtime routines so that you enforce the practice of going to sleep on time. Minimize distractions from sleep - remove toys or digital tablets from their reach at night. You can help provide a safe and hygienic environment for your child so that he/she minimizes contact with germs and bacteria. For instance, enforce regular hand-washing with soap every time your toddler visits the bathroom and before handling food. Keep your house clean so that bacteria do not have the opportunity to grow. Regularly throw out bad food from the fridge and avoid bringing your child to places where you know there has been a history of breakouts. Physical activities or exercises are an awesome way to help improve your child’s immune system. Exercise creates opportunity for movement, which in turn increases the immune system through higher white blood cells and oxygen flow that kills bacteria6. Exercise also slows down stress hormones which reduces the chances of falling sick7. Child immunity is so important because your toddler needs their health to learn in school, play with other kids and grow up optimally. 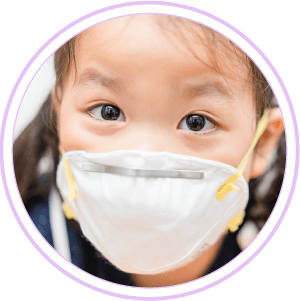 With practice, you’ll find that it’s easy to boost your child’s immunity. Take charge of your child’s nutrition and habits, today. 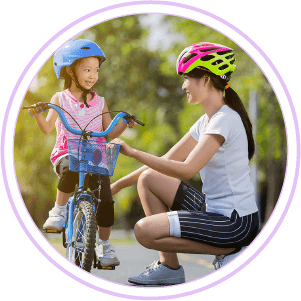 Click here to read about great physical activities for your child. Click here to read about what experts are saying about your child.